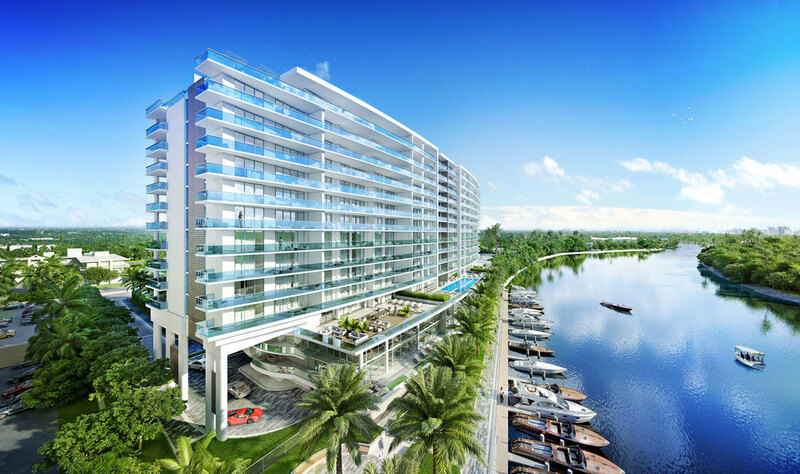 Coming to the Ft.Lauderdale area on Fall 2016 Riva will be 15-story riverfront tower with views of the Ft. Lauderdale downtown skyline and ocean beaches. 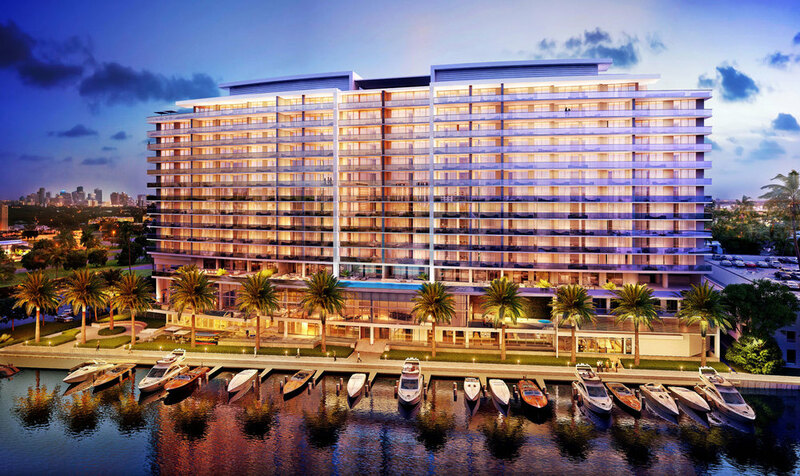 Riva, located where the city’s most beautiful river and park meet two of the city’s best shopping boulevards, you’ll find stores like Neiman Marcus and Whole Foods, top-rated restaurants and theatres, and elegant waterfront homes. 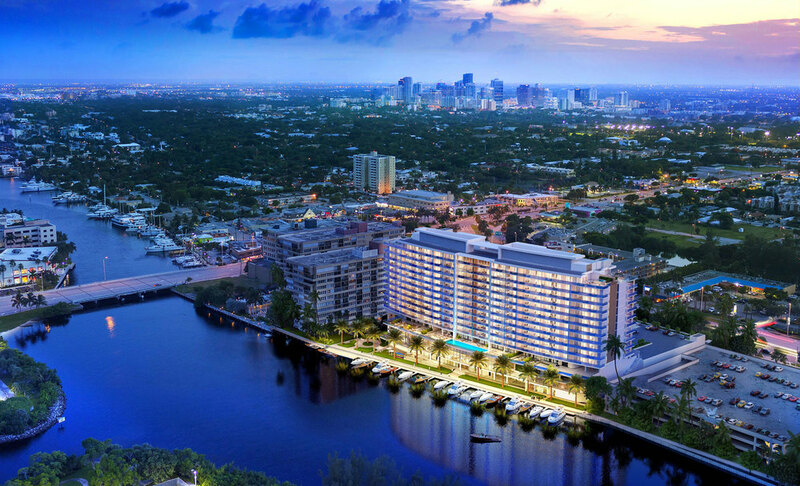 Riva is at the heart of the intown neighborhood that is attracting more and more 5-star brands with a combination of city convenience and waterfront tranquility. On the bank of the Middle River across from George English Park. A quick jaunt from Galleria Mall and a bike ride from the beach. It is also only 5 minutes from Las Olas and downtown. Riva's riverfront lobby takes you from the covered arrival court directly out to the water. Check with the concierge, stop for an espresso in the café, drop off your paddleboard at the watersports center, or even take your boat out from your own slip. Every Riva resident enjoys a waterfront lifestyle, at home. Riva’s curvilinear design, running parallel to the river, creates panoramic, unobstructed views from everyone’s balconies. To the east, over the river and parks, lies the blue horizon of the Atlantic Ocean. To the west are the endless sunset skies of the Ft.Lauderdale skyline that turn to a curtain of twinkling city lights as night falls. Riva intent is built to extend your indoor living space and create real opportunities to enjoy the outdoors, right at your home. Whether it’s a dinner party for 12 under the stars, or a Sunday brunch on the terrace for 20, Riva’s extraordinarily large balconies with summer kitchens give you the outdoor living and panoramic views that everyone in Florida wants. 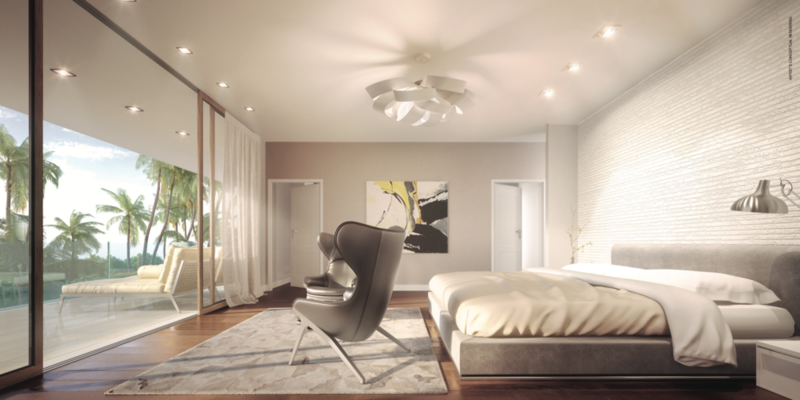 Floors 5 to 14 will have 90 residences with 10 different models to choose from. 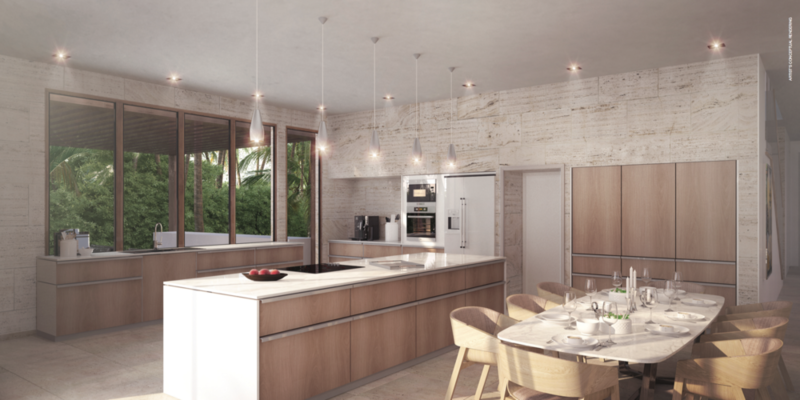 Sunrise and Sunset terraces are both combined in some Riva models (Residences 1 and 10 see floorplans), where residences extend all the way through the building. Views to both the ocean and the city give you endless Sunrises and Sunsets. 250-foot landscaped entry drive to riverside lobby. Site is approximately 2 acres, on west bank of the Middle River, across from the 20-acre George English Park, just north of Sunrise Blvd and Galleria Mall. Porte cochere entry with fountain and valet service. 60-foot wide, glass-walled, river-view lobby with reception/security desk, attended 24/7. 400-foot landscaped park along the bank of the river, with seating, gardens and walkway. Private boat slips and dock for residents, accommodating boats up to 30 feet. Recreation dock for kayakers and paddle boarders, on-site watersports club with rentals. “The Riva Water Taxi”, a private residents’ boat service to take you across the river for tennis in the park, lunch at Galleria, or a sunset cruise. Wifi in all public areas. The entire 4th floor, featuring floor-through, glass-walled, air-conditioned facilities surrounded by a wrap-around outdoor deck from sunrise to sunset. 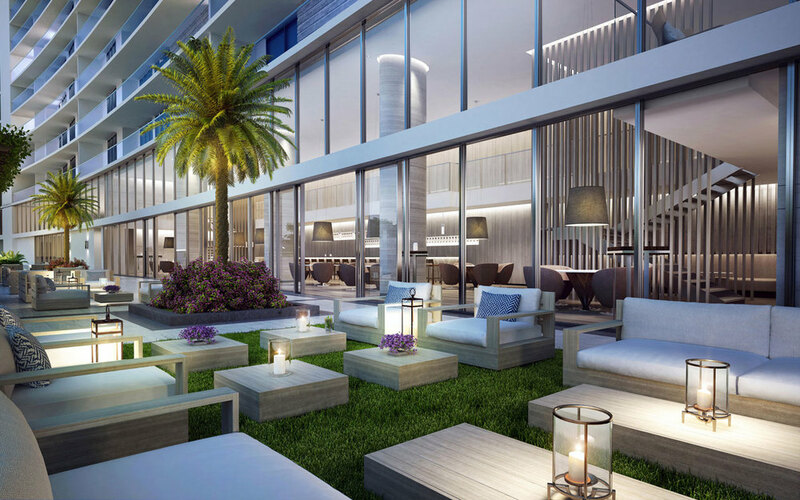 A 40,000 square-foot private club for residents and their guests, with river, ocean and city views. The 7,000 square-foot Fitness Center, fully-equipped with cardio and aerobic areas, as well as yoga. The 2,500 square-foot Club Room, a cocktail lounge and private party room offering indoor and outdoor seating and escapes. The 1,500 square-foot Cucina, a grand exhibition kitchen, dining and party experience where you and 20 friends can prepare your own feast, or bring in a 5-star chef. Borghese Spa, with treatment rooms and the famed Italian spa product line. The River’s Edge Pool, a full-size 65-foot lap pool which overlooks the river, and offers ocean-view lounging with splash pools. Cabanas for residents & guests. The Sunset Garden, a lushly landscaped hideaway for romantic evenings and city lights. The Dog Walk, a specially built sequestered walkway for a quick dog visit without leaving the building. 9’ ceiling heights (10' ceiling heights on the Penthouse Collection). Tinted, energy-efficient, impact- resistant windows and glass doors. Pre-wired for high-speed internet, cable tv and data/voice. Energy-efficient air heating and cooling system. Exceptionally large and livable outdoor terraces, deeper and wider with dimensions up to 13 feetdeep and 72 feet long, offering both sunrise and sunset views. “Summer Kitchen” on outdoor terraces, with built-in grill and counter/storage. Choice of optional flooring; finished “decorator ready”. Contemporary, sensual “wet room” design combines shower and bath in large stone and glass area. Stone counters with undermount sinks . Sub-Zero/Wolf premium appliance package with gas cooktop. Stone counter with undermount sinks. From endless sunrises to sunsets the Penthouse Collection will give you just that, highlighting two horizons, two terraces, on two floors of magnificent living space. Two-story penthouses with rooftop terraces of more than 2,400 square feet, plus room for your own private pool. 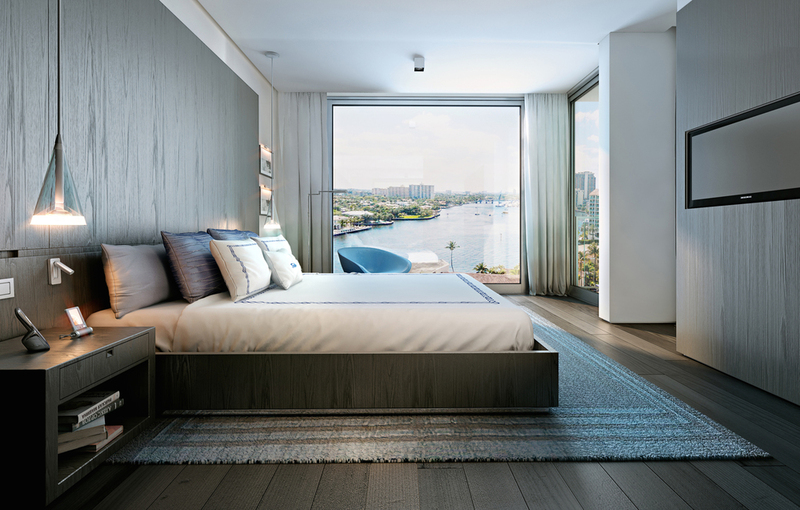 Riva’s penthouses are what you expect a penthouse to be. Not just the top floor, but the top two floors. All of them. So you get two huge terraces, and both ocean and city views. With two floors, you also get your own elevator to travel between your two stories (a glass-enclosed pneumatic one that lifts you slowly and tranquilly). Total indoor-outdoor living space runs from over 5,000 to more than 7,000 square feet. Your own two-car garage and private boat slip that accommodates boats up to 30 feet. There’s nothing like these eight penthouses anywhere in Fort Lauderdale. See floor plans available. For more complete information of Ft.Lauderdale's Riva Condos including model floor plans, click on Riva. For showings, more information, or simply have questions about Riva do not hesitate to contact me. Thank you for your message, I will be contacting you about Riva soon. Why Buy or Invest In South Florida Real Estate? 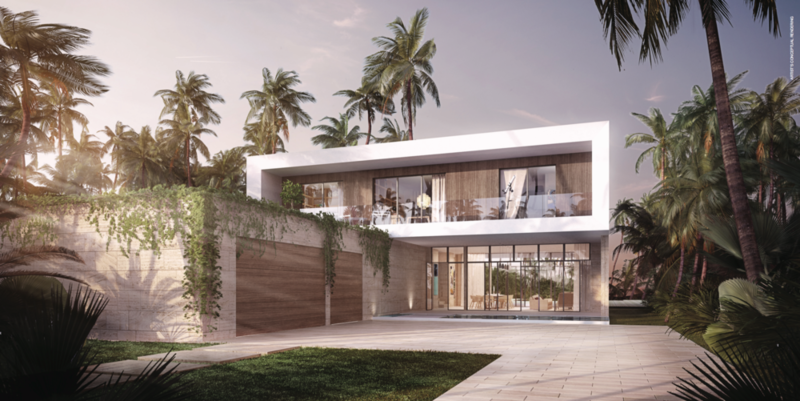 The booming South Florida real estate market has something to offer for any level of buyer or investor. Affordable Real Estate – The local market offers record affordability, amenities, and seller incentives; 50% more affordable in the last five years; the weak U.S. dollar gives greater discounts for foreign buyers. Top Market for International Buyers or Investors – Florida is the top state in the U.S. & Miami is the top market for international buyers; and is expected to outperform other U.S. markets long into the future. “Gateway to the Americas” – Strategic location between Latin America & Europe; “Capital of the Americas” - perfect for business or pleasure. The Most International City in the U. S – nearly 50% of population is foreign born and speak over 100 languages. Global Business Center – For business, finance, commerce, media, entertainment, arts & international trade; no state income tax; home to nearly 1,200 multinational companies from 56 nations; more than 100 international consulates, trade offices and bi-national chambers of commerce. World Aviation Hub – 3rd in the U.S. with 33.5 million passengers a year; Over 80 airlines to 120 destinations. Top freight airport in the U.S. with 1.8 million tons. $19 Billion in business revenue/year. Port of Miami – “Cruise Capital of the World” with more than 4 million passengers a year; also serves 240 seaports; 9 million tons of sea cargo; top markets: China, Italy, Hong Kong, Honduras & Brazil. Enviable Weather – The only major “subtropical” city in continental U.S.; average temp. 75 ºF / 23 ºC. Beautiful Beaches – Greater Miami has 84 miles of Atlantic Ocean coastline & 67 square miles of inland waterways & more than 15 miles of world-famous beaches. Water Sports & Activities – Enjoy snorkeling (Key Largo diving capital of the world just one hour away), sailing, boating, kayaking, swimming, diving & other water sports all year around. Hotels – Ranks fifth in US in occupancy after New York, Oahu Island, San Francisco, & Boston. Exciting Lifestyle for All – Young adults, families, baby boomers, retirees, celebrities, & visitors - museums, performing arts venues, art galleries, professional sports, & amazing places to shop. Fabulous Nightlife – Ocean Drive and more with top restaurants, night clubs, bars, world famous hotspots. Restaurants - In Miami you can savor worldwide cuisine unlike in any other city in the U.S due to its amazing ethnic diversity. Entertainment Industry – Major fashion center, top modeling agencies in the world, Fashion Week and more than 2,400 motion picture & video businesses. Educational Institutions – 4th largest U. S. school district; 5 colleges & universities; 3 law schools. Hospitals – 33 hospitals; Jackson Memorial is one of the top 25 hospitals in the U. S. and Miami Children’s Hospital is rated the top pediatric hospital in the country. Top Rankings - Miami has the largest concentration of international banks in the U.S; Miami’s skyline ranks third in the U.S. behind New York City & Chicago & 18th in the world (Almanac of Architecture & Design); Miami is the only major city in the United States bordered by two national parks, Everglades National Park on the West, & Biscayne National Park on the East. South Florida has become a great to live, work and play. Moving to South Florida might be the best decision you’ve ever take, l just listed 20 reasons that will not make you think twice on your sunshine state dreams.